That looks great. It’s a shame that the opening scenes of the original movie are the only times we ever really saw a big fleet of Battlestars. Sadly it is one of the times the plot is actually followed. 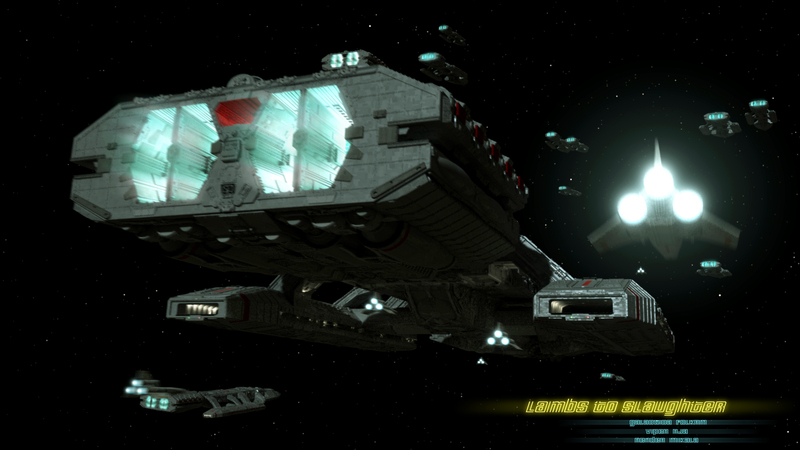 The last of the Battlestars…Galactica. It would make for a very cool short, of the Great War. What was it 500 or 1000 years long? That way you could see more Battlestar goodness. Giant battles between the Colonials and Cylons! If I’m recollecting there were many more Battlestars and that the ones showing up at the Peace Signing were the last. Mankind had run out of resources to build more, or something like that. Yeah, it lasted 1000 years. (that was before they switched to “yahrens”) I agree, going back to the war would have been great. They could have had epic battles with fleets of Battlestars, Basestars, Vipers and Raiders going up against each other.